Personalized classic canvas laundry bag in a durable lightweight fabric. Navy blue bottom with natural contrasting canvas in your choice of thread for the monogram. Drawstring top with backpack style sling strap. This unisex carry all bag is perfect for camp, college, overnight trips, and of course laundry. Also doubles as a utility organizer bag. 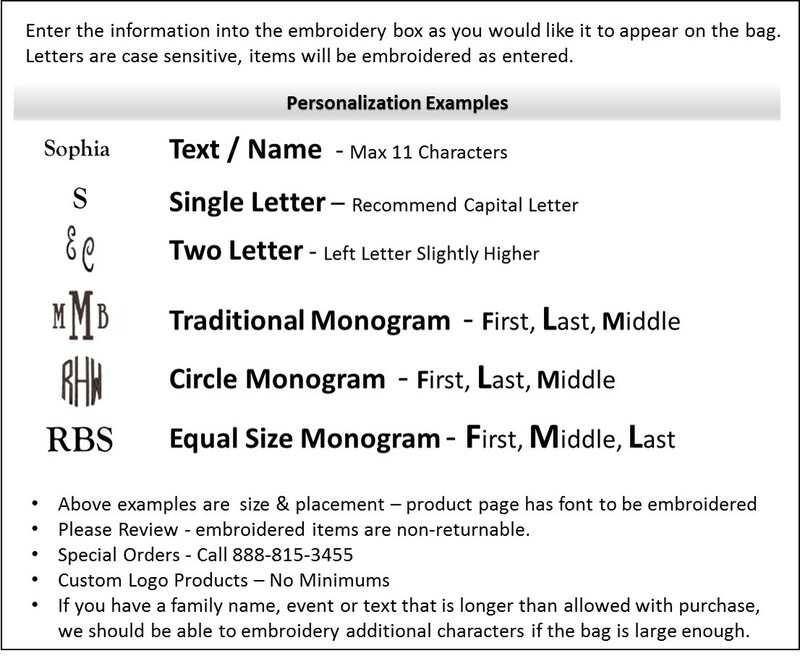 Includes embroidered name or initial. Personalized laundry bag measures 23"H x 15" diameter.